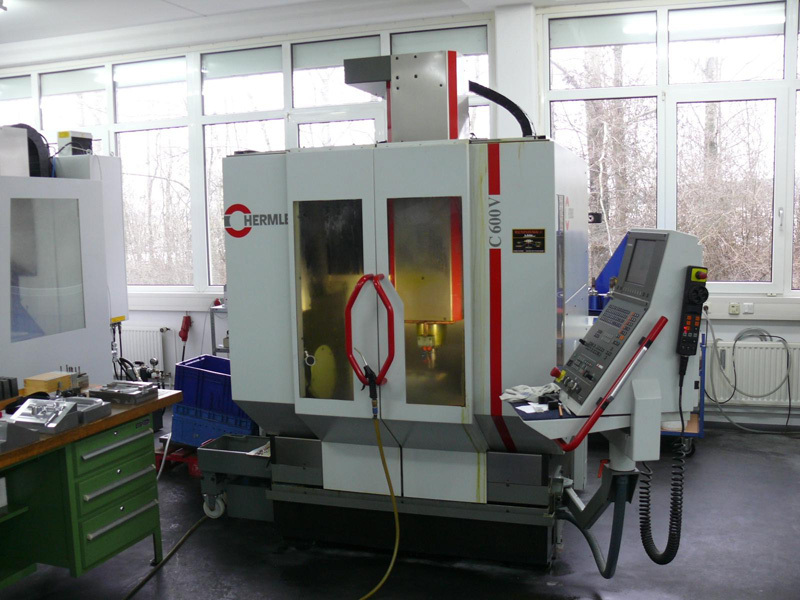 Top quality prototypes and production parts are manufactured with minimal lead times in our plant with a wide range of machines. 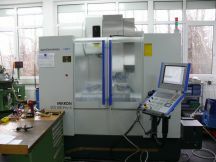 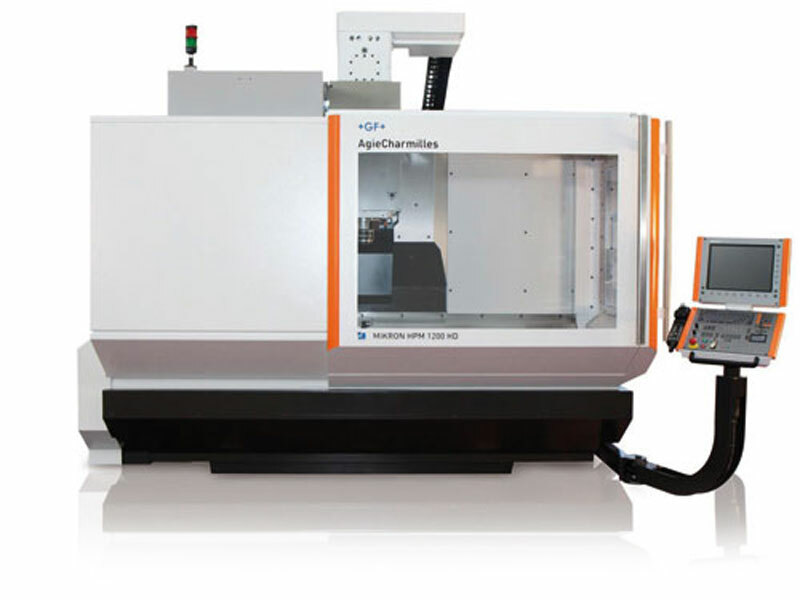 Working with milling machining centres made by Hermle and Micron, the fabrication of prototypes, production parts and tools up to a maximum size of 800 x 500 x 500 is accomplished by HSC machining centres (built 2001 – 2008). 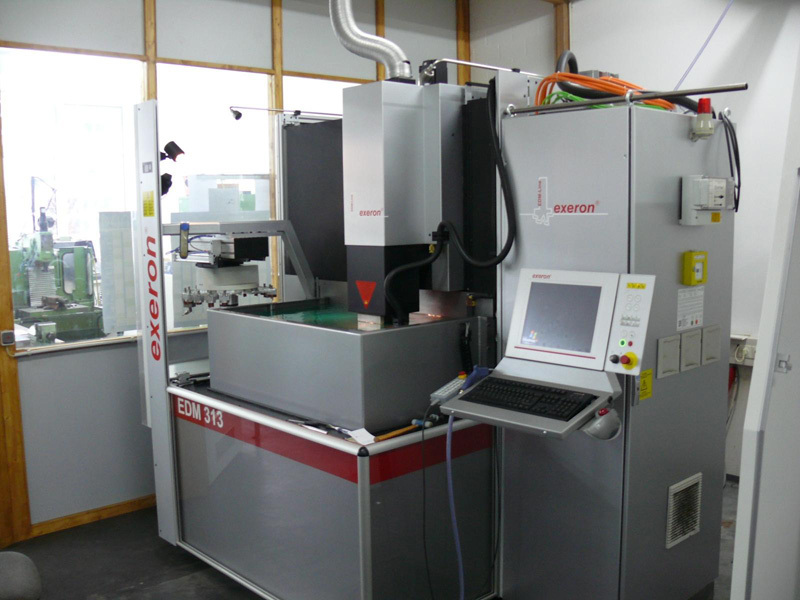 Components and moulds of up to 800 x 400 x 500 are produced on our CNC eroding machine, built in 2008 (wire electrode 2.5 D, die sinking electrode 3D, with twentyfold automatic electrode changer). 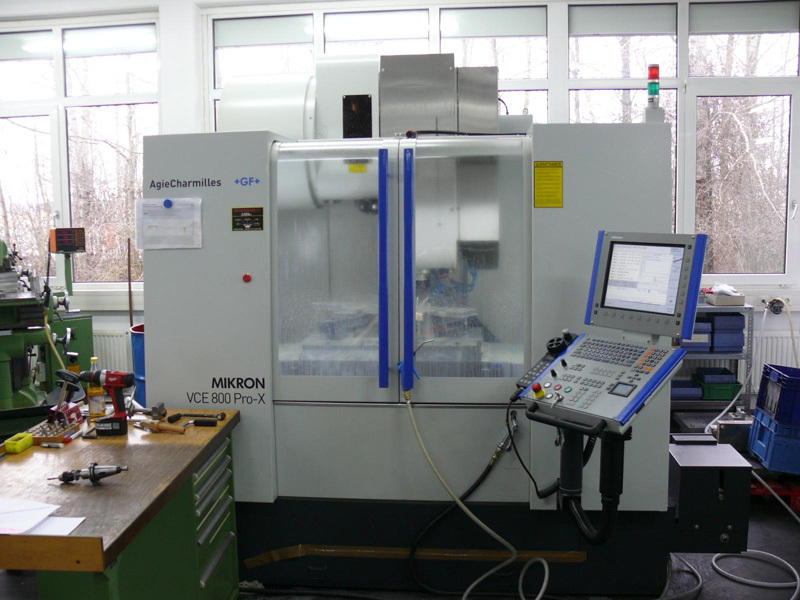 The machining centre Mikron HPM 1200 HD is designed especially for mould and tool build as well as for industrial small series production of high-precision and high value components. 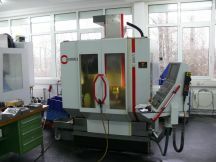 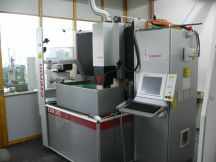 Finishing with up to 20.000 min-1 produces excellent results (HSC).